Veronica Lorello attended the United Beauty College where she graduated as a Texas State Licensed Esthetician and both Veronica and Priscilla Lorello attended the Last Looks Academy studying state-of-the-art advanced make-up techniques from Emmy Award-winning makeup instructors and hands-on make-up classes where they earned Certificates of Completion. Additionally Veronica has represented Sally Beauty Corporation as a free-lance make-up instructor for their Femme Couture Cosmetic Line. Permanent Make up, professionally known as Intra Dermal Cosmetics permanently places medical grade, micro pigments in the dermal layer of the skin. It is the perfect solution to naturally and beautifully bring your face to full perfection, from the brows to the lips or just the brows or lips. 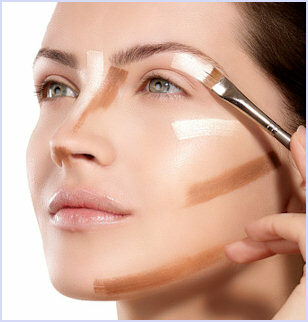 Every morning you wake up you can spend hours fixing brows that are too light, too thin, badly shaped or just missing. After you have perfected your brows, you have to add eye liner to shape, add color and drama to the eyes. Now the eye liner is complete, mascara needs to be added to the lashes and finally lips need to be outlined and colored. Every night you remove what you applied in the morning only to start over again the next day. Veronica is a specialist in permanent make-up,licensed by the Texas Food and Drug Department and has been in this field for over 8 years having attended Bella Permanent Makeup School in Fort Worth and taking her advanced course work with The American Institute of Intradermal Cosmetics in Arlington, Texas. Not only did she excel in her advanced course work but now she also teaches other esthetician's to create the same beautiful results she does herself. Veronica can meet your needs from natural to dramatic results painlessly using medical grade topical anesthetics and even a pain block for the lips. Eyebrows are your most important facial feature as they frame the eyes, the windows to the soul. They highlight the natural shape and look of your eyes and over time, after years of plucking, waxing and natural aging they are thin and shapeless. Permanent makeup is used to beautifully shape brows, adding fullness to thin brows, providing the perfect arch, filling in bare spots or restoring missing brows completely in the color that best complements your features and complexion. Brows are priced at $300.00. 4 to 12 month touch-up is offered for $50.00. Eyeliner is different. We are not born with eyes that are artfully lined to high light the size and shape of our eyes, but today’s cosmetics are used to add eyeliner which is not always easy to do and which can, at the end of the day result in smudges or, even worse, black eyes. Veronica will give you exquisitely shaped eyes with permanent eye liner that will never smudge or disappear during the day and will not need to be reapplied every morning. Dramatic thickness it is $100.00 additional. Lip Liner. Finally, as we age, our lips become thinner as they lose their plumpness. Veronica will give you beautifully shaped and fuller looking lips without expensive dermal fillers in any shade requested or a more neutral color if desired. Bring your face to Veronica, a true expert skilled at natural to dramatic pain free results in permanent makeup with quality, safety and satisfaction at her fingertips. Although many of Veronica’s clients choose permanent makeup, many others are looking for a less permanent solution but they still want beautiful brows that that are perfectly shaped, arched and tinted. Brow Shaping is $25.00 and Brow Tinting is $25.00. Finally to add perfection to the eyes, lashes can be tinted to a rich, deep color for $25.00 or save on Brow and Lash Tinting combined for only $40.00. 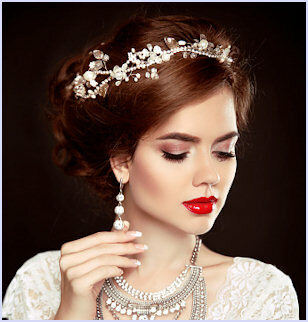 Veronica and her team specialize in Wedding Make-up for the Bride and her bridal party. Firstly she provides a consultation and trial run at her studio and for the special event will travel to the hotel or home to eliminate stress and provide relaxation as everyone prepares for the special day. 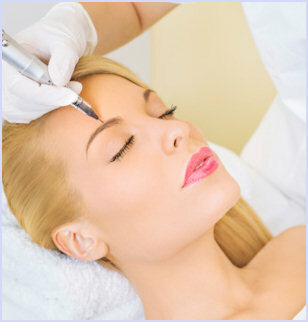 Consultation and Trial Run (at Heavenly Faces Studio only) $65.00. Wedding Day Make-up on location $85 or $65.00 per person at Heavenly Faces Studio (ask for special discount pricing for the Bridal Party). For every day more natural make-up, Veronica will create the ideal look for you. She will also be happy to teach you or a family member step by step instructions to create the perfect makeup for daily life.